A year-long programme of events has been launched (14 December 2017) to mark the 150th anniversary of the birth of Charles Rennie Mackintosh. Exhibitions, events, seminars and tours will take place across 2018 to celebrate the incredible legacy and creative genius of Glasgow’s great cultural icon. Mackintosh 150 is being co-ordinated by Mackintosh heritage partners from across Glasgow and beyond, who have come together to create a year-long celebration throughout 2018. Highlights include a major exhibition at Kelvingrove Art Gallery and Museum, a programme of events at The Lighthouse and at Mackintosh Queen’s Cross, as well as the re-opening of Mackintosh at the Willow, Miss Cranston’s original Tea Rooms in Sauchiehall Street. The Glasgow School of Art, The Hunterian at the University of Glasgow, House for An Art Lover and the new V&A Dundee will all play host to dedicated event and exhibition programmes. As well as commemorating his remarkable achievements, Mackintosh 150 provides a focal point in safeguarding Mackintosh legacy for future generations, inspiring more young people to take an interest in art and design and promoting the unique portfolio for visitors and tourists. Mackintosh 150 takes place as multi-million pound investment in Mackintosh’s built heritage continues at: The Glasgow School of Art, The Hill House in Helensburgh and the Sauchiehall Street Tearooms, while 2018 will also see restoration projects, such as the Oak Room at V&A Dundee, brought to life. 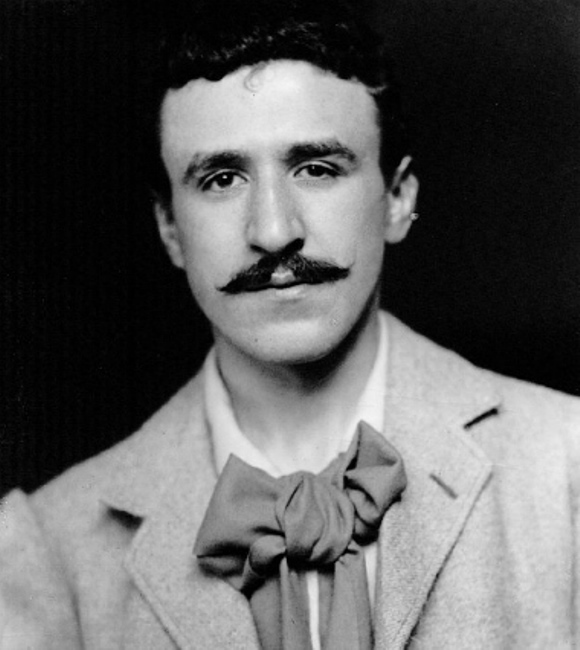 Born in Glasgow on 7 June 1868, Charles Rennie Mackintosh went on to be regarded as one of the most creative figures of the 20th century and a leading figure in both the Scottish Arts and Crafts Movement and European Art Nouveau. An architect, designer and artist, Mackintosh left a legacy of magnificent work and is considered one of the principal exponents of the Glasgow Style. Glasgow is home to the world’s pre-eminent collection of Mackintosh buildings, drawings and designs, which can be explored at venues across the city as well as at two key attractions in nearby Helensburgh. · The Hill House, Helensburgh (National Trust for Scotland). Mackintosh’s legacy has been identified as one of the drivers of the Glasgow Tourism and Visitor Plan to 2023, which aims to grow the city’s economy by increasing overnight leisure tourism visits by one million over the next six years. Glasgow Museums celebrates the anniversary year with a major, new exhibition at Kelvingrove Art Gallery and Museum. Spanning the lifetime of Mackintosh, it will present his work in the context of Glasgow, his peers and contemporaries and how it contributed to creating the Glasgow Style. The exhibition will present the very best of Mackintosh works held by the city. A number of objects have never previously been on public display, with many not seen for more than 30 years. Around 250 objects will be on display across the full spectrum of media, including stained glass, ceramics, mosaic, metalwork, furniture, stencilling, embroidery, graphics, books, interiors and architecture. The exhibition will also include important loans from private and public collections including The Hunterian and The Glasgow School of Art. Tickets go on sale from today (14 December 2017) and are priced at £7.00 and £5.00 for concessions. Group rates for UK and international tour operators will also be available. Miss Cranston’s original Willow Tea Rooms in their Sauchiehall Street location were designed by Charles Rennie Mackintosh in 1903 and are now undergoing restoration by the Willow Tea Rooms Trust. Established in 2014 as a charity, the objective of the Willow Tea Rooms Trust is to restore the building to Mackintosh’s original 1903 design and ensure its preservation for subsequent generations. It will also create a new, adjacent exhibition and visitor centre, which will celebrate the achievements of Charles Rennie Mackintosh, Margaret Macdonald Mackintosh and Miss Kate Cranston, as well as providing an information point/centre for visitors, which will be hosted by the Charles Rennie Mackintosh Society. This world-class cultural and heritage attraction will contribute to the regeneration of Sauchiehall Street and be known as Mackintosh at the Willow. It will open on 7 June 2018 to coincide with Charles Rennie Mackintosh’s birthday. Unseen for 50 years, Charles Rennie Mackintosh’s Oak Room is the largest of Miss Cranston’s Ingram Street Tearooms and will be conserved and installed as the centrepiece of the new V&A Dundee’s Scottish Design Galleries. The new museum will open to the public in the second half of 2018. The Hunterian is home to an unrivalled collection of work by Charles Rennie Mackintosh and his wife, the artist Margaret Macdonald Mackintosh. The Hunterian Art Gallery, on the University of Glasgow campus, features The Mackintosh House, a meticulous re-assemblage of the principal interiors of their Glasgow Home. A new Mackintosh interpretation centre will open at The Mackintosh House in the summer of 2018. Entry to the Mackintosh House at the Hunterian Art Gallery will be reduced to £1.50 on 7 June 2018. The Lighthouse in Mitchell Lane will be offering 40-minute tours of the building each Saturday throughout the year detailing the history of the building up to the present use as a centre for architecture and design. Tours will cost £5 (£3 concessions) and be available on a first come first serve basis on Saturdays at 1pm throughout 2018. Amongst the centre’s special Mackintosh 150 programming will be an ongoing series of archive film footage exploring aspects of Mackintosh’s architecture and the city of Glasgow, through screening events and exhibitions as well as an installation in the water tower as part of The Lighthouse’s ongoing partnership with Cryptic/Sonica. ‘All The Young Nudes’ meanwhile will take inspiration from the works of Mackintosh and Margaret Macdonald and deliver two exciting life drawing events with The Lighthouse, which will present vibrant, multimedia scenes with live music for attendees to sketch and develop drawing skills. The only church designed by Mackintosh, this stunning venue will be showing an exhibition of Mackintosh’s drawings from his travels in Italy and other activity including dance, music and art events; workshops, walks and talks. A major 'sculptural experience' will also take place within the Mackintosh Queen's Cross building. Charles Rennie Mackintosh was at the cutting edge of art and design in the early years of the 20th century. An exhibition exploring how The Glasgow School of Art continues his ground-breaking legacy and how his vision continues to creatively inspire new generations of fashion and design practitioners will open in the Reid Corridor in October 2018. Daily 45 minute long ‘Mackintosh at the GSA’ tours depart year-round from the School’s visitor centre and are led by an award-winning team of students and graduates. Investigating the story of The Glasgow School of Art’s Mackintosh building and architect Charles Rennie Mackintosh's journey from student to iconic architect, artist and designer, world-famous designs are uncovered with exclusive access to GSA’s unique collection of original Mackintosh furniture. Through the summer of 2018, 2.25 hour ‘Mackintosh’s Glasgow’ walking tours return with new guides, delving deeper into the architectural history of Glasgow’s fascinating city centre. The perfect way to start an exploration of the city and its cultural heritage, Mackintosh’s ideas, influences and relationships are interpreted through the unique perspective of GSA’s knowledgeable student guides. The Mackintosh building is undergoing the final stages of its restoration after the fire of 2014 and will re-open to its students and the public in 2019. From summer 2019, hour-long guided tours will provide members of the public exclusive access behind the scenes of this celebrated building and working academic institution, after a 5-year closure. Steeped in culture and heritage, Glasgow Art Club on Bath Street has long been a private meeting place for generations of the city’s most innovative and creative inhabitants. The Grade A-Listed Clubhouse is resplendent with historically significant interior features – many of which were designed by Charles Rennie Mackintosh when he was only 25 years old - and include the recently recreated Mackintosh Frieze. Painted in 1893, the stencilled artwork was Mackintosh's first major public work and the centrepiece of the club's Gallery. 'May Day' is a new project by Rosie O'Grady that attempts to agitate how artist Margaret Macdonald is represented by remodelling her gesso panel 'The May Queen' as a crop circle. Commissioned by Glasgow International 2018. (20 April – 7 May). ‘Sculpture for An Art Lover’: Imagining the kind of artworks the owner of House for an Art Lover may have displayed, sculptor Tom Allan presents a number of works that reference both Mackintosh and artistic styles from the first half of the 20th Century. (18 May – Monday 23 July 2018). Entry to House for an Art Lover will be reduced to £1.50 on 7 June 2018. Scotland Street School kicks off its Mackintosh 150 scheduling in March 2018 with “What I myself consider my own personal ideal” – a family orientated building tour exploring Mackintosh’s fractious relationship with the school board and the mysterious symbols he incorporated into his design. The 150th anniversary year is also the year the National Trust for Scotland seeks to save one of Mackintosh’s greatest creations for the nation. The Hill House gave Mackintosh the fullest opportunity to demonstrate his architectural vision and the Trust is starting a fundraising campaign to support a novel approach for its rescue. A large see-through enclosure will be constructed to shelter the building from the elements, dry out saturated walls and find a permanent solution to problems with the exterior harling that have bedevilled it since its completion in 1904. Now in its seventh year, the annual Mackintosh Festival will take place throughout October 2018 across a range of venues. From walks, workshops and exhibitions to performances and talks, events are designed for all ages and will appeal to those who are new to Mackintosh, as well as established aficionados. The full programme will be launched in August 2018 and feature a range of formats with free exhibitions and workshops, ticketed tours and sociable evenings with food and drink. A symposium bringing together the experiences of those currently working on the conservation and reconstruction of Mackintosh buildings and interiors, most notably The Glasgow School of Art, The Hill House, the Oak Room and the Willow Tearooms. The purpose of the symposium would not only be to learn from these live projects but also to help inform future projects and issues arising when trying to reconstruct Mackintosh buildings and interiors. Charles Rennie Mackintosh had a lifelong connection with Glasgow Cathedral. As a young man living, having been born in nearby Townhead and growing up in Dennistoun, he sketched details of the Cathedral and its surroundings, and he was involved in redesigning the chancel, working with John Honeyman. This exhibition will also show how Mackintosh used Glasgow Cathedral as the template for his submitted design for Liverpool Cathedral. Selected sketches and photographs will be displayed, in this exhibition curated by Dr James Macaulay, a world authority on Charles Rennie Mackintosh. Designed in 1894 by Charles Rennie Mackintosh, Mackintosh Club is Helensburgh's creative hub for Architecture, Art, Design and Music and has a programme of exhibitions, workshops and food and drink events in the pipeline for 2018. Planning permission for an attic conversion which will include a four level gallery, studios and roof top terrace was granted on the 12th April 2017. A fundraising campaign has been launched to enable the build to commence and be completed by the end of 2018 to celebrate Charles Rennie Mackintosh's 150th Anniversary. The only home in England to be designed and remodelled by Mackintosh in 1916 for his patron, model engineer, WJ Bassett-Lowke, 78 Derngate in Northampton will also be taking part in the celebrations. 78 Derngate has a micro-exhibition set for the first 3 months of 2018, and a special ‘Flowers for Mackintosh’ event to be held in summer 2018 with a full calendar of events in planning and aim to promote his life and work on an even wider scale during the 150th anniversary year. As well as Mackintosh venues and attractions, Glasgow’s businesses are also being invited to participate in Mackintosh 150 and to facilitate their involvement, a digital toolkit will be available to download from January 2018 with key assets, brand guidelines and festival messaging. Already at the table for Mackintosh 150 is the Glasgow Restaurant Association (GRA), which comprises 80 of the city’s top restaurants. GRA members will create Mackintosh-themed dishes and drinks and use the Mackintosh font in their menus. Other organisations on board include: Holiday Inn Theatreland; Merchant Square; Princes Square and St Enoch Centre. “We have created an exciting programme of events in 2018 for Mackintosh 150, with key highlights being the show at Kelvingrove and the opening of Mackintosh at the Willow on Mackintosh’s birthday on 7 June. Activity for schools, young children and families will take place throughout the year as part of Mackintosh 150 and include: art competitions; workshops; story-telling and other activities. Further events will be added to the programme and announced in the coming months.